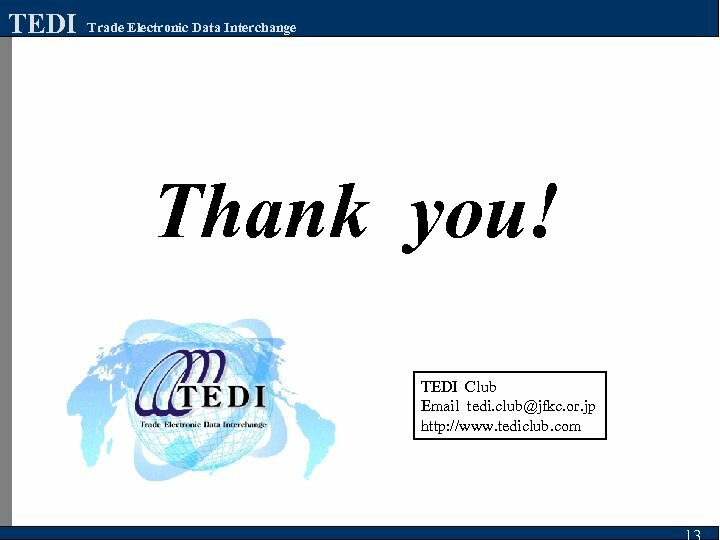 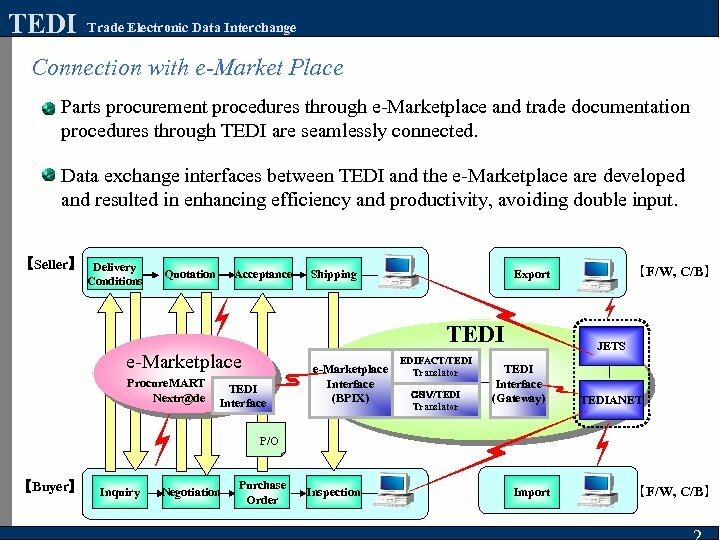 TEDI Trade Electronic Data Interchange Efficiency of Procure. 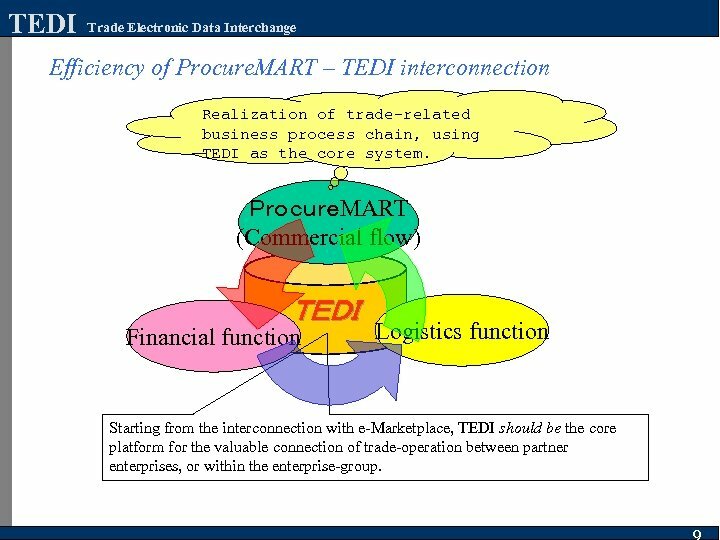 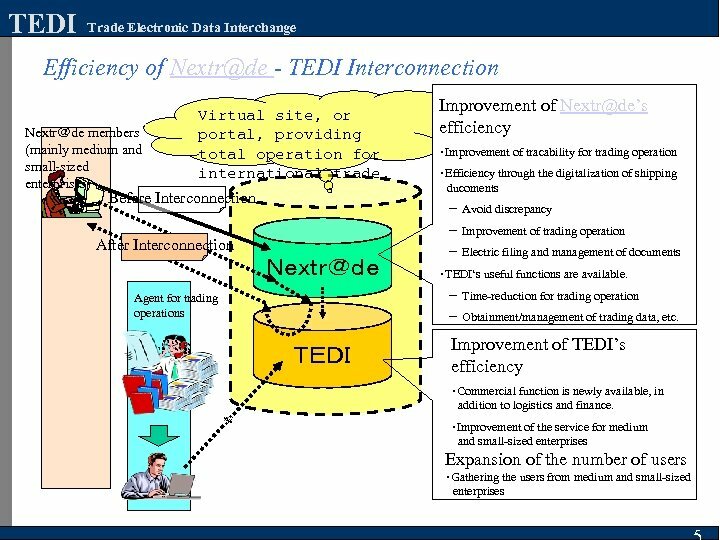 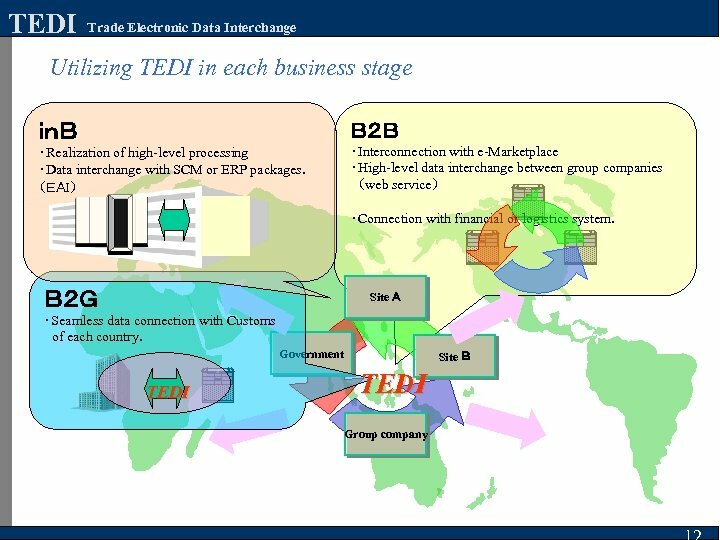 MART – TEDI interconnection Realization of trade-related business process chain, using TEDI as the core system. 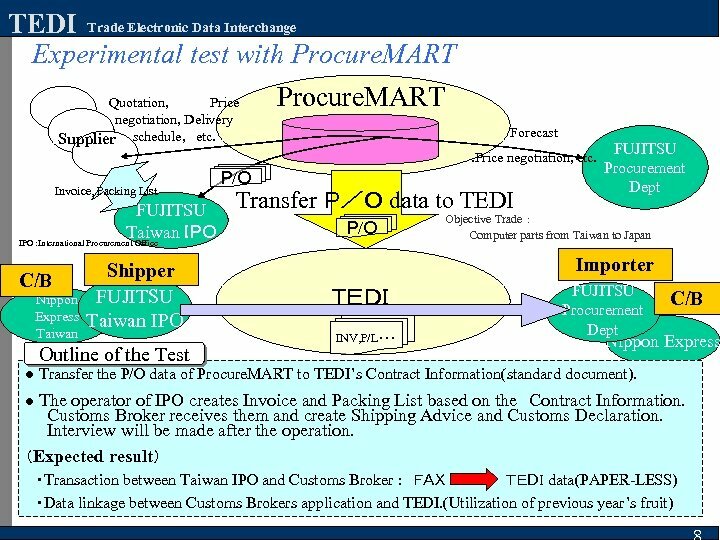 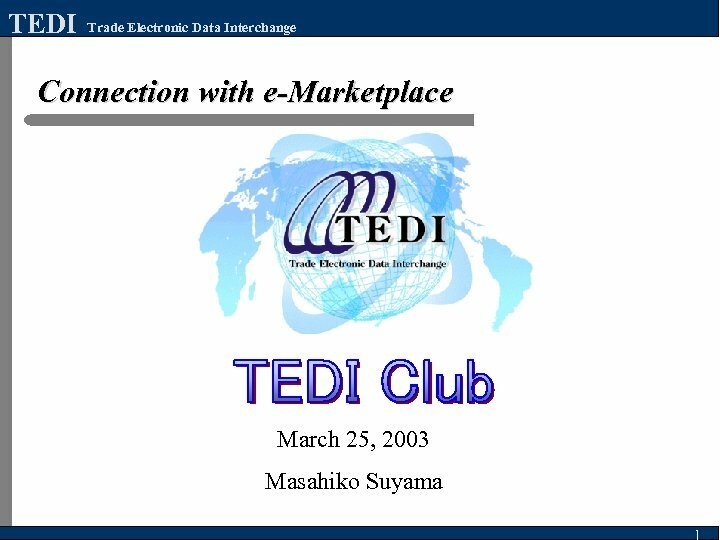 ＰｒｏｃｕｒｅMART (Commercial flow) ＴＥＤＩ Financial function Logistics function Starting from the interconnection with e-Marketplace, TEDI should be the core platform for the valuable connection of trade-operation between partner enterprises, or within the enterprise-group. 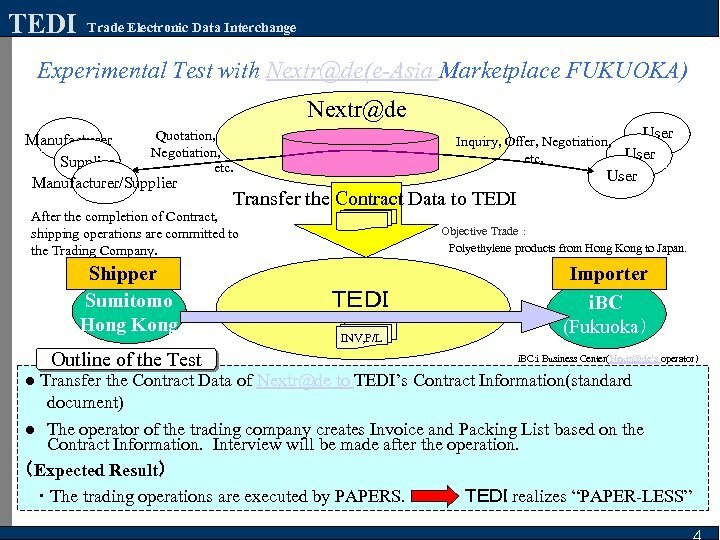 TEDI Trade Electronic Data Interchange Keys for improvement of connection between Procure. 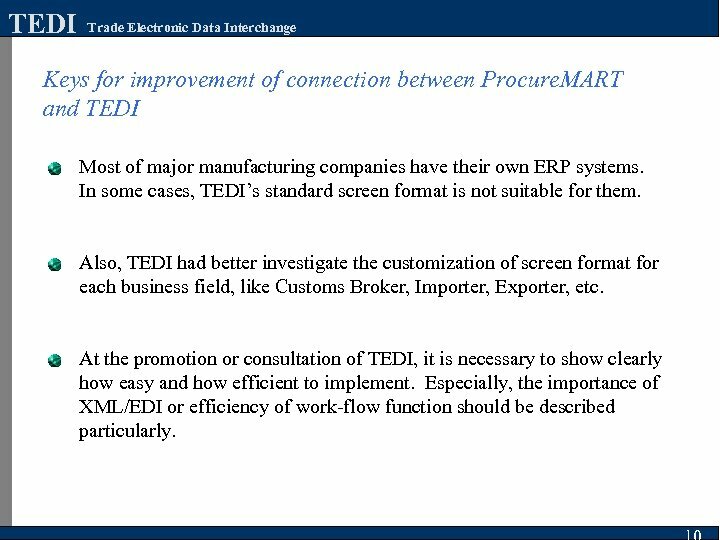 MART and TEDI Most of major manufacturing companies have their own ERP systems. 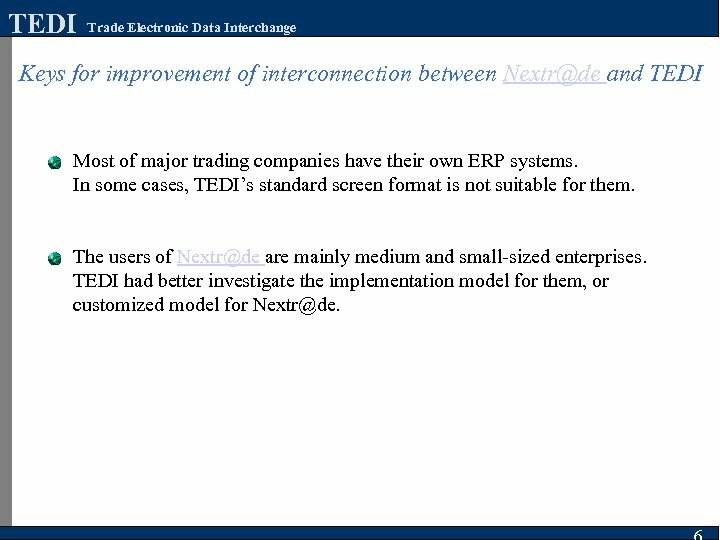 In some cases, TEDI’s standard screen format is not suitable for them. 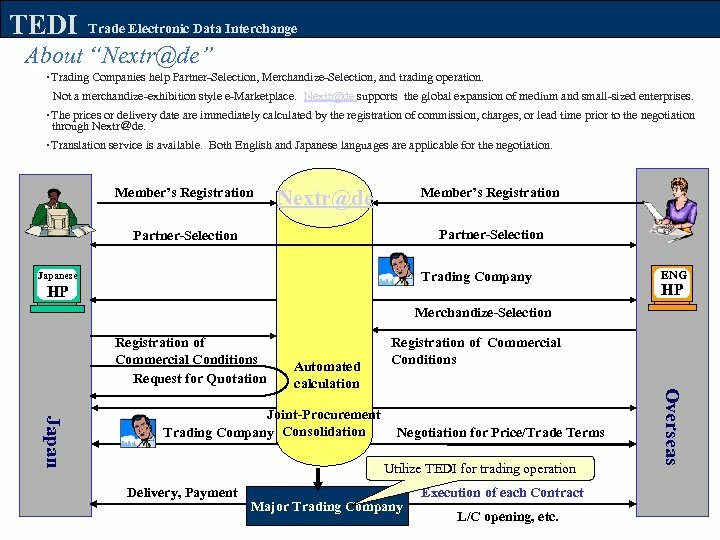 Also, TEDI had better investigate the customization of screen format for each business field, like Customs Broker, Importer, Exporter, etc. 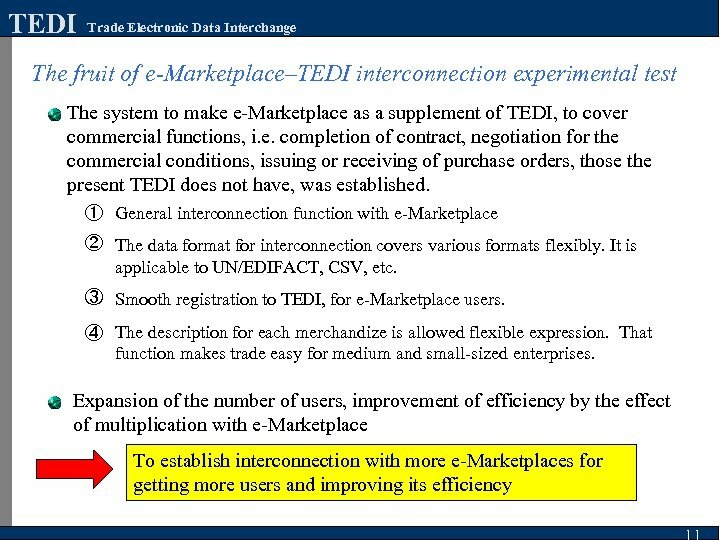 At the promotion or consultation of TEDI, it is necessary to show clearly how easy and how efficient to implement. 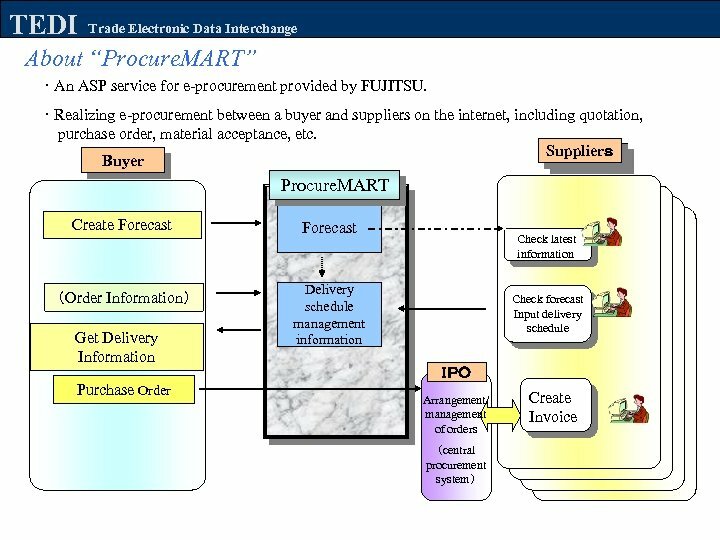 Especially, the importance of XML/EDI or efficiency of work-flow function should be described particularly.